A landmark new research centre was officially unveiled last week at Humberhead Peatlands National Nature Reserve (NNR) in Yorkshire. 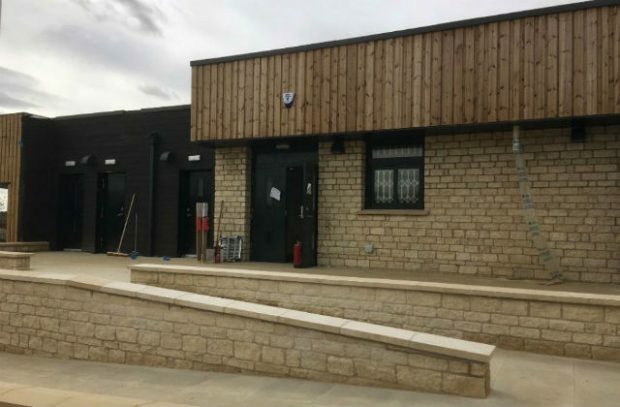 Opened by Natural England and backed by £3 million of government funding, the new outdoor laboratory facility includes an educational centre for visitors, local schools and universities helping to establish the reserve as a focal point for the local community. Research at the site will help us understand how NNRs influence the environment way beyond their physical boundaries, boosting wildlife and providing wider benefits to society such as carbon storage and support for rural economies. Humberhead Peatlands NNR is now one of a number of Gateway Nature Reserves in the area which act as centres for our ambitious landscape scale nature conservation and public engagement strategy. The NNR Strategy builds on the solid achievements of half a century of hard work- it reinforces what we have done well, such as here on the Humber by restoring wetlands, bringing a fresh emphasis to the role of premier wildlife sites and restoring biodiversity in the wider landscapes. Over the last year the government has invested over £5 million to improve, expand and create NNRs. Natural England is committed to ensuring the future of these nationally important wildlife sites and has worked with partners to identify 80 additional priority landscapes across the country, which as they are developed, will form part of a new Nature Recovery Network of connected wildlife-rich habitats. The trasformation of the Humberhead from scarred industrial landscape to Britain's largest restored lowland peatland is a fantastic example of how by working together to restore ecological processes we can boost wildlife, improve access to the great outdoors and create new opportunities for the local economy. Our National Nature Reserves are seen as a role model for conservation around the world and our ambitious strategy will see them flourish, helping us deliver on our ambition to leave the environment in a better state than we found it. Representatives from the 53 conservation organisations involved in the delivery of the joint strategy, gathered at Humberhead Peatlands NNR last week to reflect on the success of the programme so far. Reconnecting people with their landscape and involving them in actions, is one of the main aims of our Landscape Partnership. Through working with 13 partner organisations, to restore and enhance 200 hectares of priority habitat, rare species will be protected including; crane, marsh harrier and nightjar. With the NNR at its core we are connecting to other wildlife rich areas, so local people and future generations will hear the enigmatic call of the bittern or the incredible sight of a marsh harrier casting a shadow overhead. We’re the government’s adviser for the natural environment, helping to protect England’s nature and landscapes for people to enjoy. This blog gives an insight into our work.